Getting 2019 started off right with some really old minis from the collection! These are four rather easily recognizable fellow from GW's Lord of the Rings range. I picked them up back in 2014 when Mason started watching the Trilogy and was really interested in the stories. Being the nerd I am, I picked up some related figs we could throw out on the table. 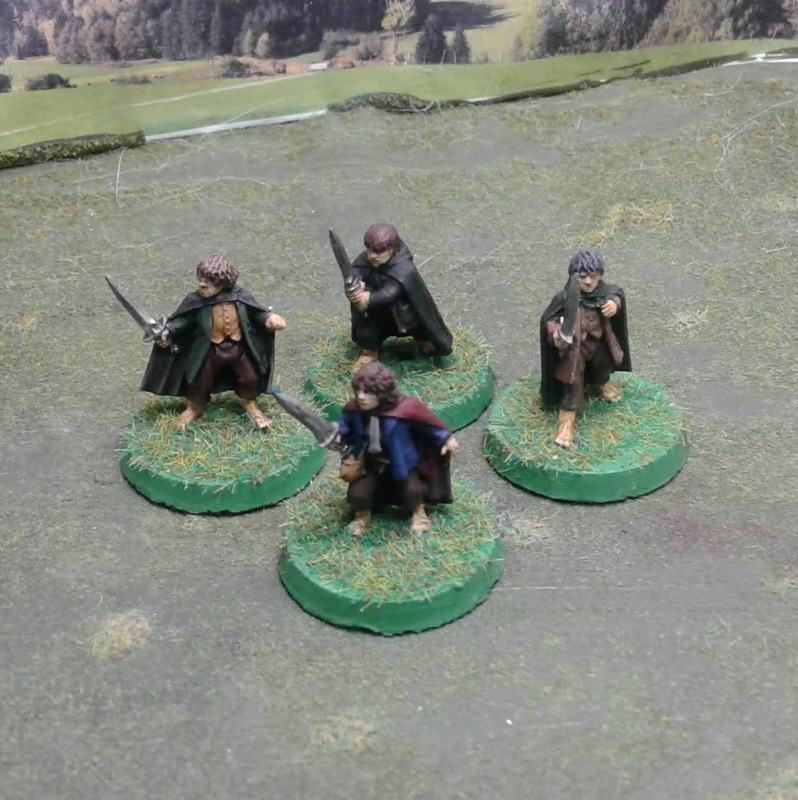 Being the total magpie I am, I painted a few figs and then let the rest sit in a box for year. These guys were partially painted, so I opted to take the time to actually get them done. The figs is nicely proportioned and sculpted. I stayed with mostly earth tones to match the characters from the movie. 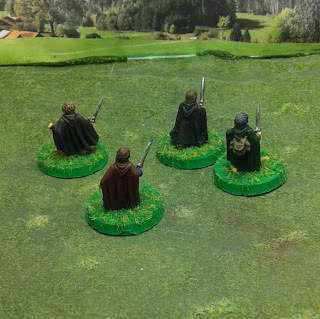 I am not sure what they will be used for, but they have been added to the small collection of completed 28mm Fantasy figures on my son's mini shelf. "Nerd" AND "magpie?" Can one be both? Nice work! Nice work on these. 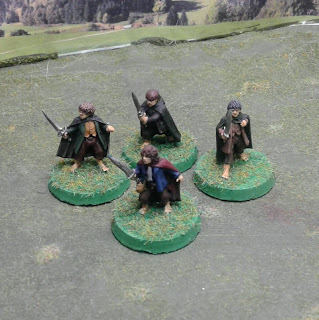 Interestingly it's the second hobbit post I've seen today on a blog. 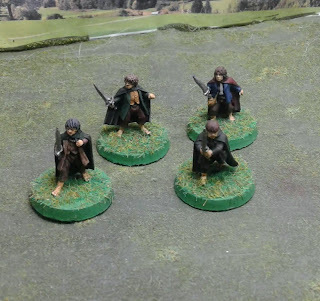 Let's hope old hobbits die hard! They look very good. At least one of them seems Merry. I have degrees in Physics and Computer science. I collect toy soldiers. My nerd flag flies high. My collection runs from Ancients to Sci Fi with some areas represented in 3 or more scales (Moderns in 3mm, 6mm, 20mm, 28mm for example) It is just part of who I am. But be careful... this kind of lead can be Hobbit forming! Indeed, but a Hobbit here, a Hobbit, there, and before you know it you're hearing the pitter-patter of furry feet in your dreams!